In order to deliver accurate color and image contrast a display must closely match the Standard Intensity Scale. Figure 3 shows the measured Intensity Scales alongside the industry standard Gamma of 2.2, which is the straight black line. 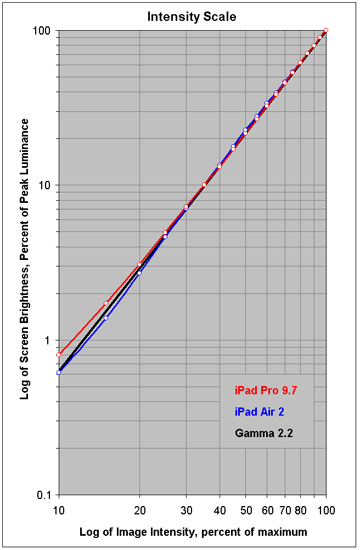 Both the iPad Pro 9.7 and iPad Air 2 Intensity Scales are a close match to the Standard.